This awesome guide is presented to you by cheap flights to Stockholm from London, a leading travel agency across the UK. The world is full of surprising places and with an extraordinary natural beauty. In Central America, there is a variety of landscapes and activities that suit all types of travellers: those who love nature, those who like the nightlife or those who enjoy culture and history. 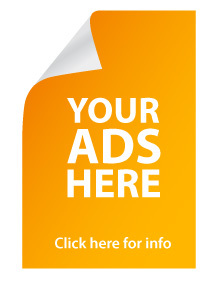 All this can be done in countries such as Costa Rica, Nicaragua and Guatemala, at very low prices. 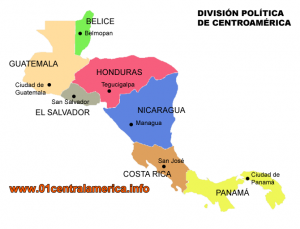 It is located in the southwest of the country, almost on the border with Panama. In recent years it has become one of the most touristic destinations in Costa Rica due to its great variety of activities to do. On the Salsa Brava beach, you will find the biggest waves of the Caribbean coast and is chosen by surf lovers as an essential destination. To rent a bicycle in the centre and to cross the beaches from Puerto Viejo to Manzanillo, can be a beautiful experience. It is a route of 13 km with amazing landscapes, the journey is accompanied by the Caribbean coast on one side and the Costa Rican rainforest on the other. It is common to hear howler monkeys on the road and, if you are lucky, you can even watch the sloths on the top of the trees. Beaches such as Chiquita, Negra, Punta Uva and Cahuita should be visited to snorkel or just relax under the trees that bathe the Caribbean beaches. If in addition to knowing the nature of the place they are interested in its history and culture, a good option is to take a bus to Bribri, where the original communities of the area currently live. Located in the Osa Peninsula, in the southwest of the country, it is one of the most biologically diverse areas in the world. One of the best ways to visit the Park is staying in Puerto Jimenez to hire a tour and make the corresponding reservations because without them you cannot enter. There are different options to travel Corcovado: there are two main trails, one that runs along the coast and on the interior of the jungle. It is advisable not to visit this place between July and November since it is rainy season and some sections of the park are usually closed to the public. In this area, thousands of animals can be seen: birds, monkeys, sloths, crocodiles and, to a lesser extent, jaguars. There are tours that organize swimming activities with dolphins in Golfo Bay, near Puerto Jiménez. In addition, if luck is on your side, in the part of the Atlantic Ocean Whale Sharks, one of the largest and most incredible animals in the world, swimming with this animal will be an experience difficult to forget. Belonging to the province of Alajuela, in the north of the country, this place is almost impossible to describe with words. 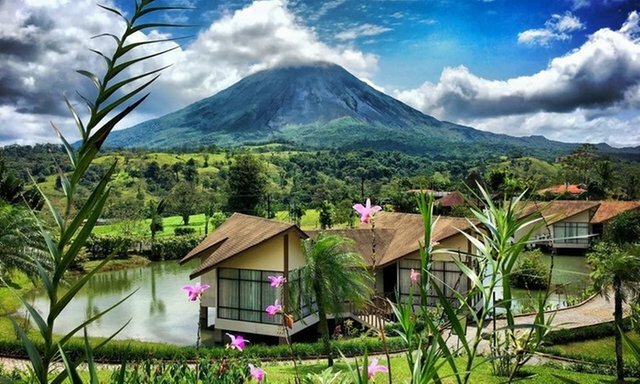 There is a trekking through the Arenal Volcano that can be started from Cerro Chato; the view of the volcano and the paths of the pure jungle are amazing. You have to be prepared to climb, for two hours, a very rustic path; sneakers and lots of water is essential for the journey. The spas of thermal waters can be a good option to end the day since they are natural and have a beautiful view of the stars. It is the place par excellence for lovers of extreme sports and adventure, as it has many companies that perform activities such as swing, canyoning, rappel, bongie and canopy, being the longest on the continent with more than a thousand 500 meters of travel. However, it is still an option for those who love nature and walks. You will be surprised by the number of shades of green, mountains and tranquillity that there is in this area. The cuisine is very good, having a coffee in Choco Café Don Juan, accompanied by the noise of the trees is something that you must live. On the side of the Pacific Ocean is this beach of suffering style, and this is the main sport that is practised. Many surf schools are located on the beach and give classes of two hours in which you can learn the basics to get started. The sunsets are wonderful, hundreds of people are concentrated at some point on the beach to watch the sun fall on the sea. The nightlife of Tamarindo is very active: restaurants, bars and nightclubs border the entire beach, having a drink with a varied selection of seafood can be a good plan to end the day. To continue with the route of the route through Central America, the next stop should be San Juan del Sur in Nicaragua. It is one of the most visited beaches by national and foreign tourists. The walk to the Cristo de la Misericordia is very picturesque, especially because of the breathtaking views of the ocean. Young tourists tend to go to this beach in search of waves to surf and good bars for nightlife. 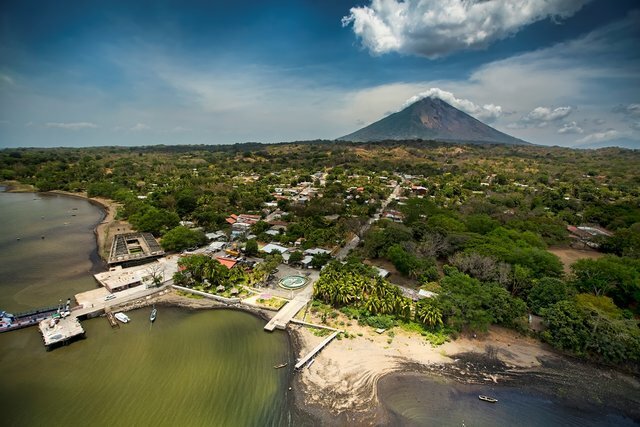 It is an island that is located on Lake Nicaragua and is characterized by being a volcanic island: Maderas and Concepción, are the names of those who form it; they usually organize walks to climb to the top of the second. On the island live a little more than 35 thousand people, who are characterized by being very hospitable and friendly. In recent years many of the inhabitants have begun to devote themselves to tourism that is why there is lodging at very low prices in family homes, where they will treat you as one more member. One recommendation is to go to the beach at dusk, where on clear days you can see the night on one side of the island and the sunset on the other. It is one of the oldest cities in the country, has a very interesting neoclassical and colonial architecture. It can be the ideal destination for lovers of culture and history, although walking along the waterfront, strolling through the central square, climbing the main cathedral tower at sunset, having lunch at the market and having a drink at the pedestrian mall are very recommended plans for everyone. It is an ideal city to rest a bit of life on the beach. Author Bio: This article has been written by Daniyal Buksh, a professional content strategist and digital marketer at cheap flights to Sweden Maybe you can be interested in the music from Costa Rica or in another travel information.